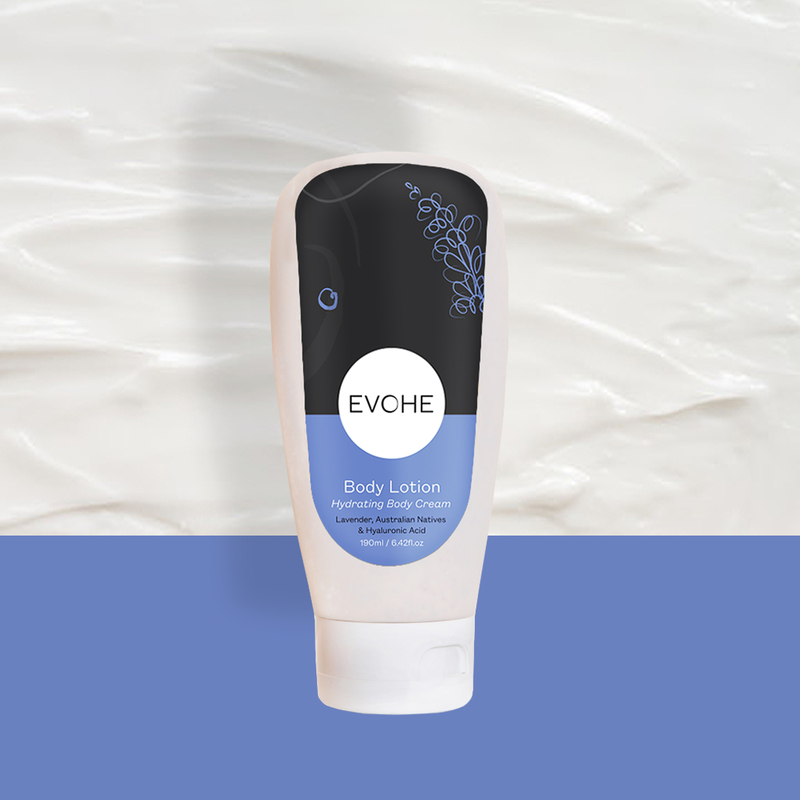 Our Body Lotion is here to give you a great reason to love your body all over. Infused with Australian Natives, Lavender and Hyaluronic Acid this formula knows just how to protect you from the elements and keep your skin in equilibrium. 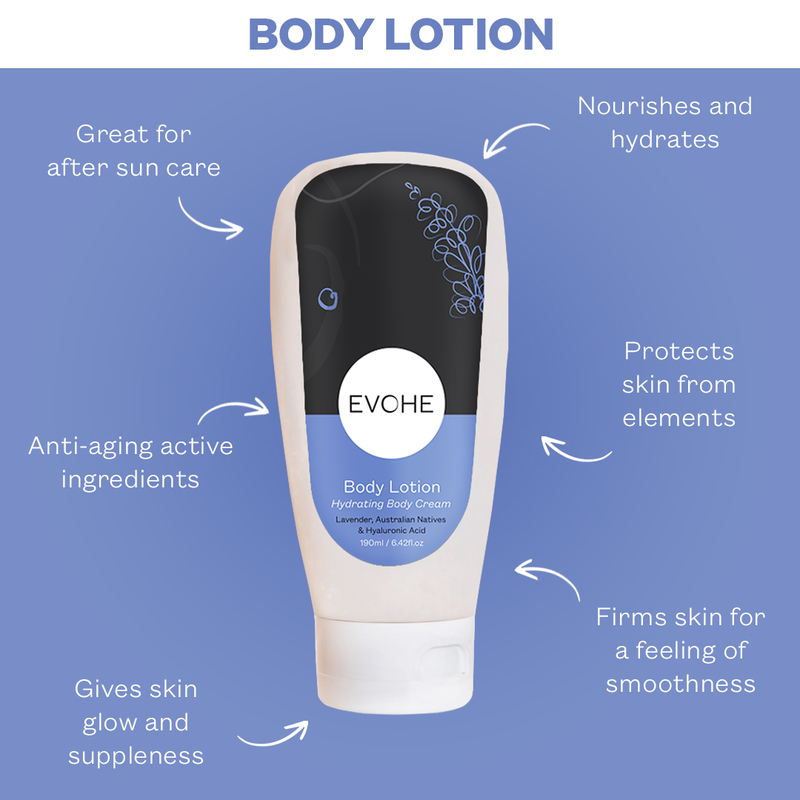 Lightweight and lush, it will leave your skin thoroughly nourished & hydrated all year round. Treat your skin to some hydration and glow and give yourself a daily reminder of self care and nourishing. 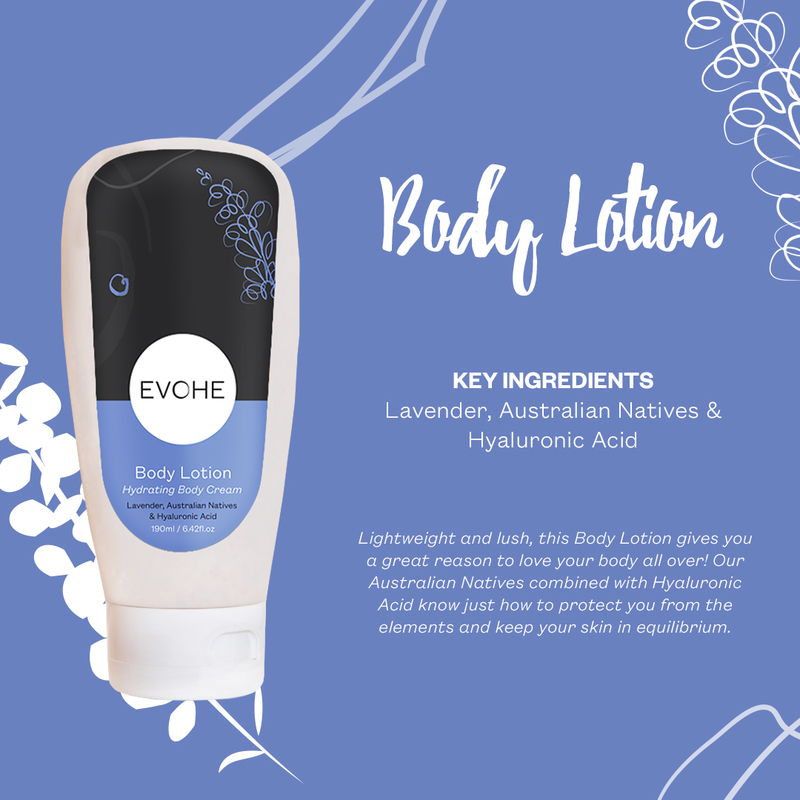 Our key ingredients in our incredible Body Lotion are Lavender, Australian Native Extracts and Hyaluronic Acid. 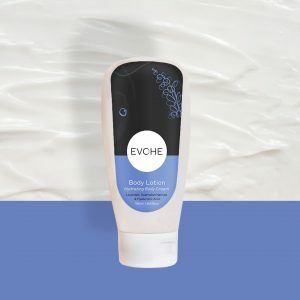 These will leave your body not only smelling delicious but will keep your body hydrated, firmed and glowing as well as the mind and soul calm. With 45 known species of Lavender across the world, we decided to stay close to home and select beautiful Lavender grown right here in Australia. Lavender is know for ‘calming’ and studies have actually shown that Lavender can assist in reducing PMS mood symptons, especially anxiety and depression. Australian Native Extracts were also important to include because we love using Australian ingredients where possible! The addition of Hyaluronic Acid also gives it anti-aging properties and gives it super nourishment. Kangroo Apple is known for being anti-inflammatory and great for anti-aging as well as skin repairing and firming. Quandong also has anti-aging properties as well as promoting radiance and luminosity. 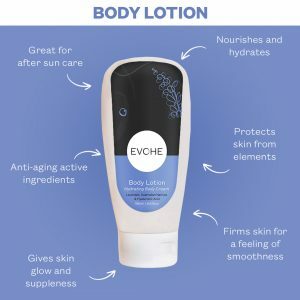 This ingredient makes the Body Lotion great for using for after sun care. Snake Vine is great also for after sun care as well as providing lots of hydration and has repairing properties. Apply to your palms and warm in-between your hands. Apply from the feet up in the direction of your heart. Finish with your palms together at the base of your neck. Inhale deeply the calming and restorative scent of Australian Organic Lavender. Now go and express your most authentic self!